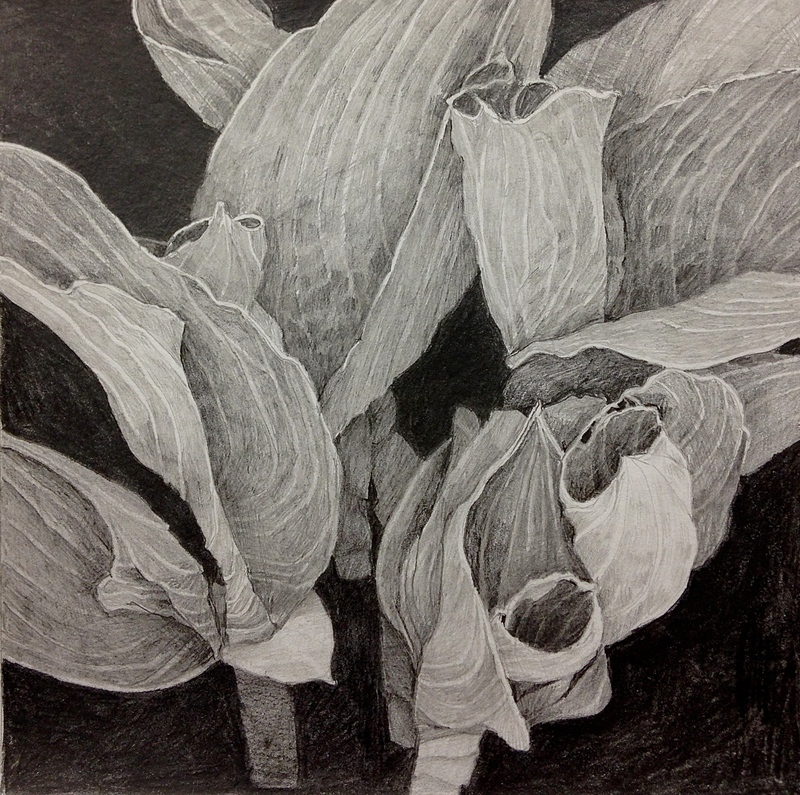 Inspired by a week of working in the gardens, which put me in close contact with many emerging hosta. My plan was to do a drawing of them while they were in the early stages of development…..when they kind of looked like asparagus spears. But there kept being more garden work to complete, so that by the time I got around to starting the drawing, they had miraculously (as it was only a couple of days) developed to this stage. As it turns out, a more interesting drawing, I think, with all the whirls and textures created by the unfurling leaves. I am pleased that you like the drawing, however, there are no prints (of any size) available.